Looking for a good book to curl up with over spring break? 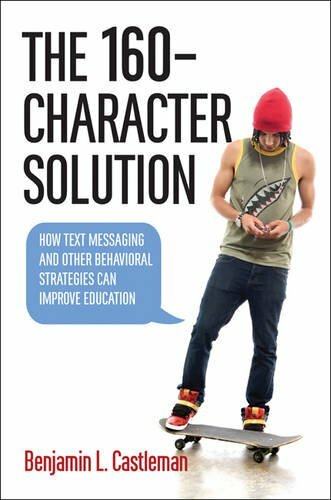 Check out our next #NACACreads selection — The 160-Character Solution: How Text Messaging and Other Behavioral Strategies Can Improve Education. A Twitter discussion of the book with author Benjamin Castleman is scheduled for April 18 at 9 p.m. (ET). Join the chat and learn how counselors and others can leverage the science of decision-making to help more students succeed. Read more about the upcoming discussion.